While I have written previously about how many of people’s ideas about energy balance are incorrect, this may be a little bit tidier look at it. More to the point, this is the version that I have written for the still being edited book on women’s physiology, training and fat loss. It could honestly go in any one of my books (and will be seen again in at least one more project to be sure). Basically, there’s a lot of nonsense floating around about this particular topic. And that topic is one of the oldest “rules” of weight/fat loss in existence. 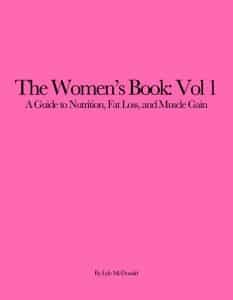 I’m fairly certain that almost all readers of this book are familiar with the old rule that 3,500 calories equals one pound of bodyweight. Which leads to very simple mathematical approaches to weight loss via the energy balance equation. Presumably the simple act of decreasing food intake by 500 calories/day, or increasing energy expenditure by 500 calories/day, should result in exactly one pound of weight loss/week. And whenever people do that, it never works out. Or almost never in any case. There are several reasons for this, not the least of which is a lack of adherence to the diet with a major portion of the less than predicted weight and fat loss being due to this (13). But even when that isn’t the case, when those seeking fat or weight loss strictly adhere to their diet, the predicted and real-world changes are different. And for that reason many have incorrectly assumed that the energy balance equation is incorrect, or doesn’t hold for humans, or any other number of humorous misinterpretations. But the only real misinterpretation is what the original rule actually represented and why it often doesn’t hold as expected. Because, generally speaking the creation of a 3,500 calorie deficit or surplus does not result in the hoped for 1 pound per week weight loss or gain (14). And that misunderstanding comes out of a few things. First recall that the energy balance equation says nothing about changes in weight, it says that the long-term difference between intake and expenditure determines how much energy is stored or removed from the body. And the first problem that comes up with the failure of the rule is that different types of tissue in the body (i.e. organs, brain, muscle, fat, carbohydrate, water) contains different amounts of energy. I’ve shown them in the chart below. Basically, the 3,500 rule only holds for the loss of a pound of body fat in the first place; it was never meant to apply to gain or loss of the other components of body weight. For a bit of trivia, body fat is not actually 100% stored triglyceride, it’s somewhere between 85-90% so let’s say 87% total fat. The rest of the cell is water, some cellular machinery. One pound (454 grams) of body fat would therefore contain 394 grams of total stored triglyceride which provide 9 cal/g to the body so that’s 3,555 calories. That’s where the original 3,500 calorie per pound value comes from. But again it only holds for body fat. And it’s not the case that only fat is being lost under most conditions. A gain or loss of water is a change of zero calories in the body which is why the short-term fluctuations in body weight don’t mean anything. Mis-applying the 3,500 calorie rule, if 4 lbs of true fat were gained, that would require a 14,000 calorie surplus which is fairly impossible. The same is true for a 4 pound loss of water, clearly a 14,000 calorie deficit couldn’t be created overnight. But it doesn’t have to be since water contains no calories. This mis-understanding is what led to the idea that low-carb diets had an inherent metabolic advantage. The often large amount of water weight loss (from 1-15 lbs) in the first few days was assumed to be represent the loss of enormous amount of energy from the body. But since water contains none, it didn’t. Putting the same 15 pounds of water back on has the same non-effect. It contains no energy. In that the body’s carbohydrate stores are often lost or gained quickly as well, this would seem to also violate the rule. But again it doesn’t due to the fact that one pound of carbohydrate doesn’t contain 3,500 calories. It’s about 1600. And that carbohydrate stores water in the body, roughly 3-4 grams of water per gram carbohydrate. So if someone stored an additional 500 grams of carbohydrate, that would contain 2000 calories of energy but would carry 1500 grams of water into the body. You’d expect a weight gain of approximately 4 lbs. But it still doesn’t violate the 3,500 calorie rule. And this is importance since the losses and gains of water/glycogen can be significant in the early stages of weight loss (or when weight is gained). So someone might see a huge 3-5 pound water weight loss in the first few days of dieting. But this contains very few calories (the water contains none, the carbohydrate contains a bit) and doesn’t really matter to anything. What we are interested in from a body composition point of view are changes in actual tissue, body fat levels and skeletal muscle/LBM. And not only do those have different amounts of calories per pound, they are lost in varying proportions depending on gender, diet, starting body fat percentage, etc. Protein also contains some water (as does body fat) so it’s breakdown will result in the loss of that water and body weight will change more than predicted. Women use more fat for fuel (and lose less LBM) than men, diets that have sufficient protein and proper resistance training spare LBM (meaning more fat is lost) and folks with higher levels of body fat use more fat and less LBM for fuel. In that last situation, for the Category 3 dieter perhaps, after water weight/glycogen is ignored, the 3,500 calorie rule may hold very closely; it may also hold later in a diet when more fat is often lost. But in other situations, it will actually underestimate total weight loss (meaning that the loss of that single pound of fat takes longer). So consider the situation where someone is getting 10% of the energy deficit from LBM and the other 90% from stored fat. They have created a 3,500 calorie weekly deficit. 10% or 350 calories comes from LBM/protein which has 600 calories/pound. That’s just under one half of pound of weight lost. The remaining 3150 calories will come from fat (about 0.9 lbs of fat). So the total weekly weight loss will be about 1.4 lbs (0.5 lbs LBM plus 0.9 lbs of fat). This means that body weight will go down more quickly, if more LBM is lost and I strongly suspect that rapid weight loss centers advise against exercise for this reason; exercise spares LBM loss on a diet (which is a good thing) and body weight will drop faster if more is lost. For example, consider the completely impossible situation where 100% muscle was being lost. At 700 calories/pound, that same 3,500 calorie/week deficit is 5 pounds of LBM and weight loss. But body composition in terms of BF% will actually worse. This never happens, mind you, I’m just using it as an extreme example to make a point. But to lose an actual pound of fat in this situation actually requires a 10% larger deficit than the 3,500 calorie rule since 10% of the energy came from the breakdown of protein. So to lose that single pound of fat in this case will require a total deficit of 3850 calories, at 90% fat loss, will be required to lose one pound of fat. Essentially, the rule seems to fail to hold due to the misunderstanding of the original 3,500 calorie rule. It only applies to fat and unless 100% fat is being lost, it won’t hold. In the early stages of a diet when water and glycogen is being lost, total weight lost will be higher than predicted. After that, unless 100% fat is being lost, the rate will at least be different than predicted (15). I’d mention that the above works in exactly the opposite way but it gets a little bit more complicated. Basically it takes slightly more energy to store calories in the body when weight is being gained. So even though one pound of muscle broken down for energy may only contain about 700 calories, it may take 2000 or more calories to build that muscle in the first place (pinning down this number is very difficult). So even if a 3,500 calorie surplus is created and 100% muscle was being gained, it wouldn’t be 5 lbs of muscle, it would be closer to 1.75 lbs since it takes 2000 calories per pound to be stored. And it will likely even be less than this since some of the energy stored will come from carbohydrate storage in the muscle, there may be some fat gain, etc. Dietary fat doesn’t take much above the 3,500 calories to be stored but it’s not 100% efficient. So the necessary surplus to gain fat will be higher and so long as some proportion of the weight being gained is LBM, the same surplus will result in less total body fat stored. But there is another huge factor that people either misunderstand or ignore that plays into the fact that the predicted weight/fat loss (from the above rule or basic math) never holds. And it is perhaps the more important of the misunderstood aspects of energy balance. In addition to the above, perhaps one of the biggest misconceptions about how weight or fat loss works is that both sides of the energy balance equation can change and that alone causes the real-world weight or fat loss to be different than what would be predicted. Again, I’ll assume that the the dieter strictly adheres to their diet or exercise program. I’ll also ignore the issue of water retention for this discussion. But the way most dieters want the energy balance equation to work is that they create some deficit from maintenance and they just continuously lose weight at that rate. Some very dumb ideas about “If you remove 100 calories per day from your diet, you will lose so much weight” have come out of this misunderstanding. Because the system adapts to the changes in food intake, activity and body weight. As a simple example, consider TEF, the calories burned during digestion, absorption, etc. of food. Estimated at 10% of total caloric intake, if a dieter reduces food intake by 500 calories per day, there is an immediate reduction in TEF of 50 calories. Already, the supposed 500 calorie/day deficit is reduced by 450 calories and the predicted one pound per week rate of loss won’t be achieved. Put differently, if the math of weight/fat loss were as simple as “Reduce food intake by 500 calories to get 1 pound of weight loss forever.” and nothing changed, people would waste away. to nothing And we all know that that doesn’t happen. They start losing at some rate, weight loss slows, and then they hit a plateau and this is true even if food intake and activity have remained identical. And the only way to resume losing more weight or fat is to recreate the deficit, by reducing food intake even more or increasing activity. And that’s because the energy expenditure part of the equation is dynamic and all four components of it can change. And they do at different rates and different magnitudes depending on a host of factors. But they change and that impacts not only on the short-term rates of weight and fat loss but what happens over the long-term. And in the real-world, predicting actual changes in weight or body fat has to take those compensations into account (16). There is actually an online program that will predict the actual weight/fat loss from a given starting point and deficit and you can see that weight loss may start quickly due to water weight and glycogen loss), slow a bit as fat/LBM is being lost and then eventually slow more and reach a plateau as TDEE goes down. But most people don’t, make some very incorrect assumptions about how weight/fat loss or energy balance should work and when it doesn’t work out as predicted, conclude that the equation is wrong. But it’s not, rather the assumptions that people are making about it, what the 3,500 calorie rule” represents, the impact of water weight, the changes in energy expenditure that occur are what is incorrect. The equation always holds, it’s just not as simple as many make it out to be. 13. Schoeller DA et. al.Effect of dietary adherence on the body weight plateau: a mathematical model incorporating intermittent compliance with energy intake prescription.Am J Clin Nutr. 2014)100(3):787-95. 14. Thomas DM et. al. Can a weight loss of one pound a week be achieved with a 3500-kcal deficit? Commentary on a commonly accepted rule.Int J Obes (Lond). 2013 Dec;37(12):1611-3. 15. Heymsfield SB et. al. Energy content of weight loss: kinetic features during voluntary caloric restriction.Metabolism. 2012 Jul;61(7):937-43.